WordPress WooCommerce Per Product Shipping Plugin allows the admin to add the shipping price for each product. Shipping On Per Product is an essential feature for the admin and that’s why we have created an add-on for the admin to add shipping price for each product from their panel. The cost can vary depending on the destination. On the check-out page, shipping price displays total shipping charges of each product. Admin can enable/disable the plugin. Admin can set the Shipping Title that will be visible to the Customers at the time of Checkout. 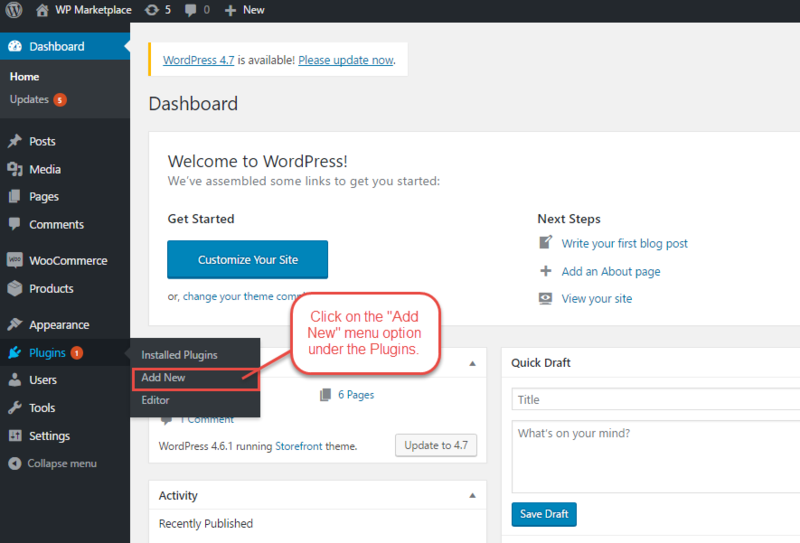 After this, you will see an option on the top of your page that says “Upload Plugin“, click the option to upload the zip file. After clicking on the upload plugin option, below that you will see a button “Browse” click on the button to browse for the zip file as per the snapshot below. 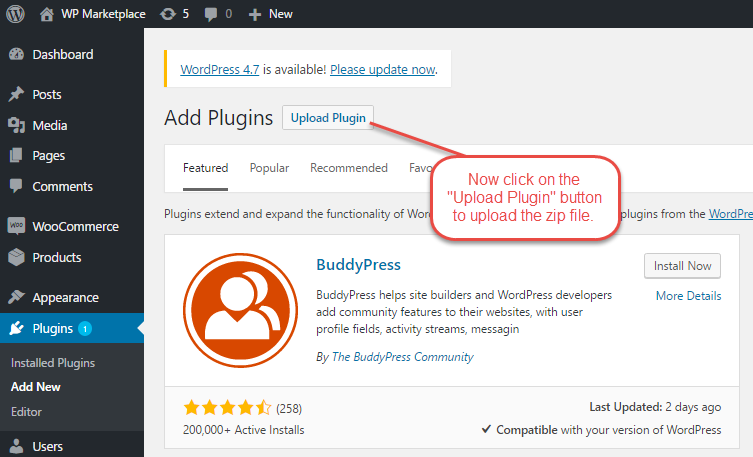 After browsing the file, click the install now button to install the plugin as per the snapshot. Now when the plugin is installed correctly, you will see the success message and an option to activate the plugin. That is all for the installation part of the WooCommerce Per Product Shipping. 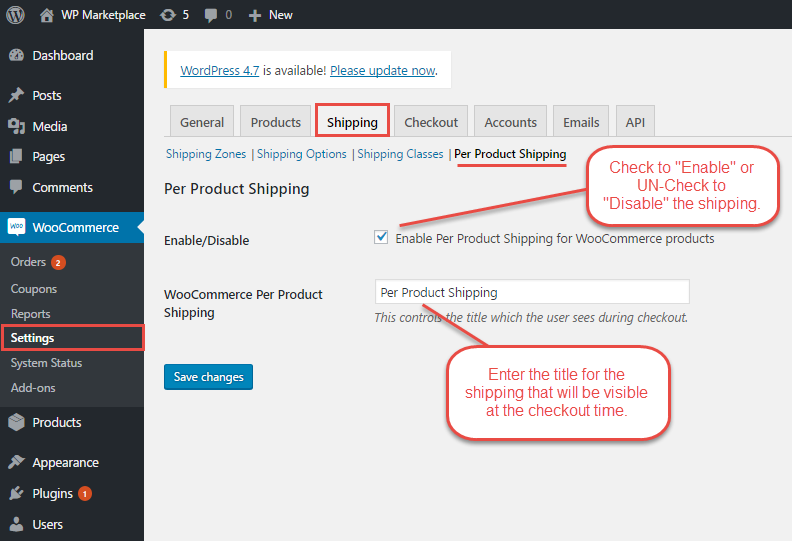 After the installation, the admin will configure the WooCommerce Per product Shipping by navigating through WooCommerce -> settings -> Shipping tab -> Per product Shipping. Here the admin can enable or disable the Per Product Shipping and enter the shipping title that will be visible to the customers at the checkout time. After configuring the Per Product Shipping, the admin will set the Per product Shipping for his products. Admin can set the Per Product Shipping for already created products as well as for the new products. To add the shipping to the already created products, the admin will navigate through ->products and will click on the edit button. After clicking the edit button, go to the shipping tab to set the Per Product Shipping for this product. Here the admin will enable the Per Product Shipping, enter the shipping cost and set the Country Code, State Code, and PinCode for which the Per Product Shipping will be applied. If the admin enters only the Country code, then the shipping will be applied to all the regions of the country. If the admin enters the country code and the state code, then the shipping will be applied to the specific state under the country code. If the admin enters the country code, state code, and the pin code, then the shipping will be applied to the specific pin code entered under the country and state code. Similarly, the admin can apply the Per product Shipping for his new products. 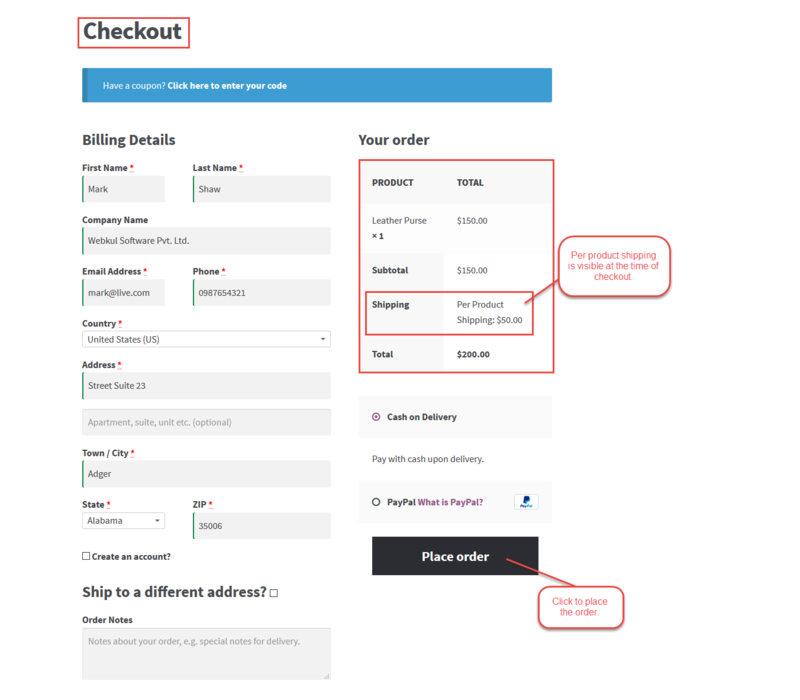 When the customer adds the products to the cart and goes for the checkout, the customer will be able to see the per product shipping applied on the product as per the screenshot below. 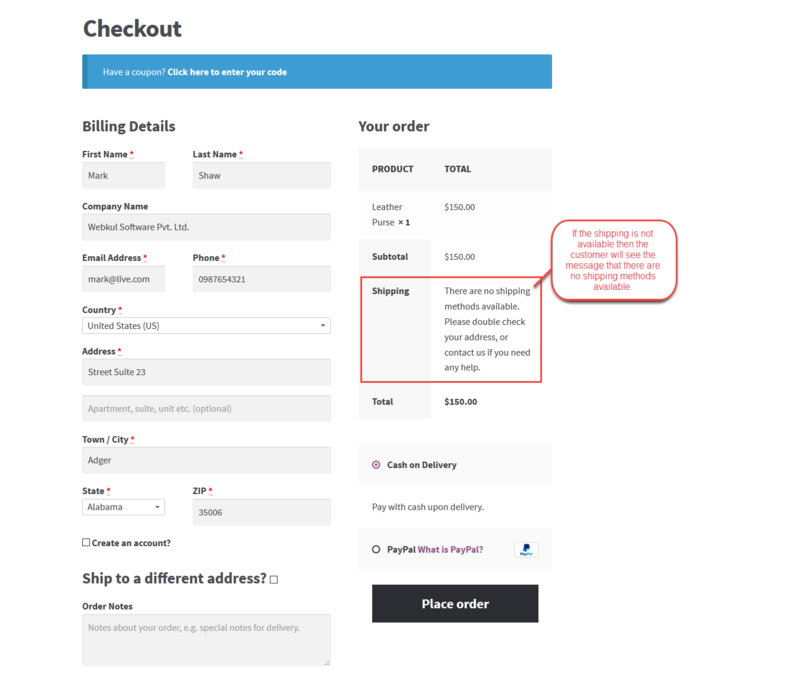 If the shipping is not available, then the customer will see the message that there are no shipping methods available as per the screenshot below.